Daybreak Games announced today that the latest expansion for EverQuest 2 is now available for purchase. The expansion, titled Planes of Prophecy, is a throwback to the classic expansion, Planes of Power. It takes players to the celestial realms, including the Planes of Magic, Innovation, and Disease. There, players will find all new dungeons for all types of players. The expansion also offers a level cap increase as well as the new soulbound weapons. These special weapons gain experience of their own and increase power as they level. 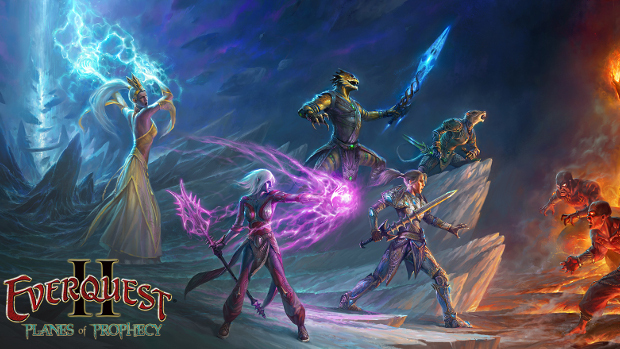 As mentioned above, the expansion is available for purchase via the EverQuest II site. Depending on your desire to get more digital goodies, it will run you anywhere from $34.99 to $139.99. The lowest priced version comes with a level 100 boost while the other two add that plus gear, mounts, a variety of boosts, and more.